Cheval Knightsbridge is close to the famous department store Harrods, in London. 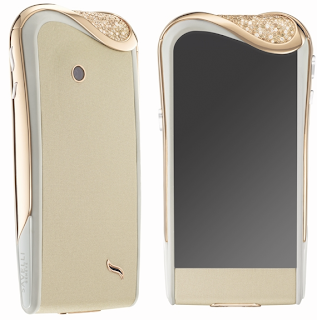 We have seen many brands launching beautiful iPhones cases, with diamonds and pearls like we talked on this post, cases made with pure gold and platinum such as the Brikk cases and even iPhones made of gold, like this one by Gold & Co. But what about the Android fans? They too deserve fancy mobiles. And that is what Savelli is doing. 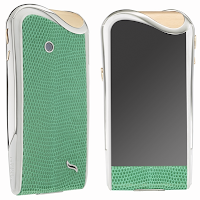 The brand, a Geneva-based company, launched a new line of luxury Android-powered smartphones for women that will be unveiled at Paris Couture Week this month. 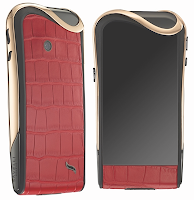 The collection of phones, called "Jardin Secret", includes 11 models that feature blue ostrich, black alligator and iguana leathers, as well as 18-carat gold and precious stones as decoration. The models, which were assembled in the Chanel watch factory in Switzerland, are Italian designed and are mainly priced at £5,868 to £6,378, though the most expensive will cost £76,500. 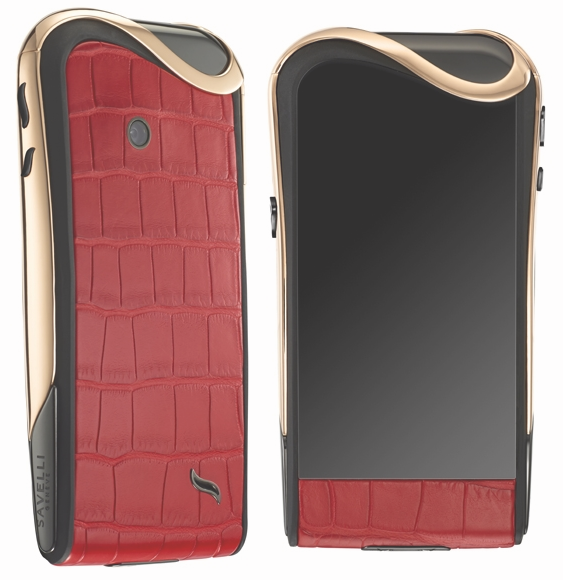 Every device has the same development base: a soft, sensual, feminine shape, made from high-tech, scratch-proof ceramic, 18-karat pink gold chosen for its soft lighting effect, and leathers (python, crocodile, ostrich) from top-notch French leather manufacturers, not to mention diamonds that follow strict and ethical supply standards. 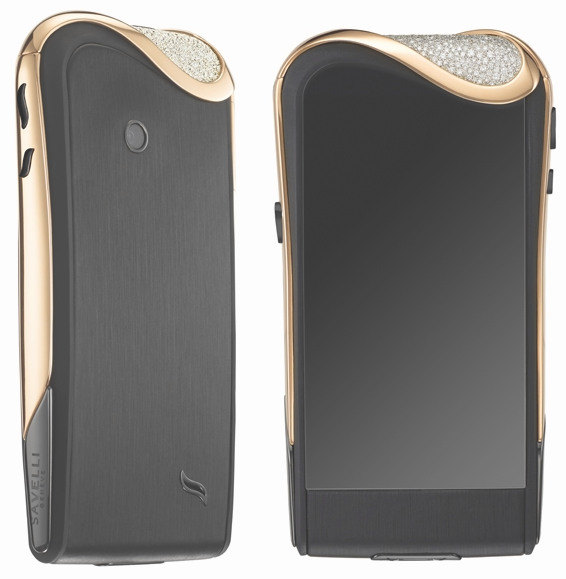 The smartphones have a curved screen made from the sapphire crystal glass found in luxury watches, and French DJ Stéphane Pompougnac created the ringtones. As far as phone operation goes, Savelli trusts Google's Android system, which allows for a use and development that is both innovative and unique to the phone. It's centered around a specific app called Mon Jardin Secret (My Secret Garden), an original and proactive app that will allow Savelli women to find each other on a network adapted to each one's personality. Essentially, it's along the lines of a very high-end concierge service. 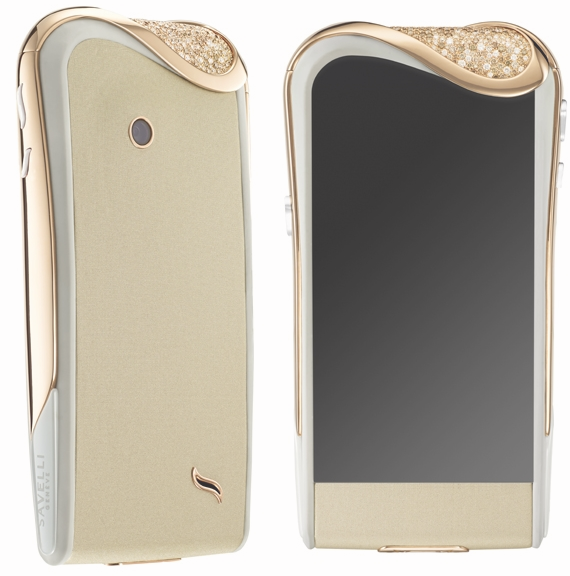 Chief executive Alessandro Savelli said: “From a design perspective, this was the objective: creating a completely disruptive design which had nothing in common with any other phone which had ever been designed before"
Their debut collection will be exclusively sold in the jewellery rooms of +Harrods, London, and Printempts, Paris. Cheval Knightsbride is a Cheval Residences brand.